I recently had to redo my Hackintosh due to some crazy boot errors. It was actually a nice time to wipe the system and upgrade to El Capitan, so while I was a bit frustrated at first, it actually turned out to be alright. One of the main problems I was facing, outside of even more booting issues post-installation, was my wireless adaptor not working. I recently purchased a TP-Link Archer T4U because I was told it was a plug-and-play solution for both Windows and OS X — this turned out to be the opposite, it is anything but plug-and-play. 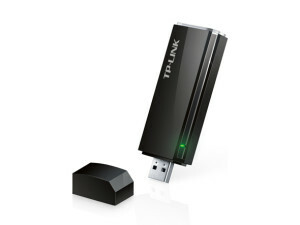 Get the driver package from TP-Link’s website here. Download the Pacifist application from CharlesSoft. Open Pacifist, choose the driver driver package (I unzipped it first), and select the “Install” option at the top left corner of the window. This will automatically install all the software, bypassing the typical OS X package installer. If it was successful, you should see the Wireless Network Utility application in your Applications folder. Currently, my adaptor does not work with USB3, but this seems to be a wider problem with USB3 ports on my system. If anyone has any recommendations for that particular issue, please email me (my first name @ this domain). Credit & thanks to the Hackintosh subreddit (specifically dasyoyo16) for the guidelines I found here. Just to be clear, the TP-Link Archer T4U is working on El Capitan for you? I need to get a new adapter for El Capitan and just wanted to make sure. Yes, it works great. In fact after recently having to reinstall, I’d say it works better – there is a new Wireless utility for managing Wifi connections. I’d highly recommend it as it is 802.11AC.